ThemeParkMama: Lalaloopsy Babies First Steps DVD...................October 14th! 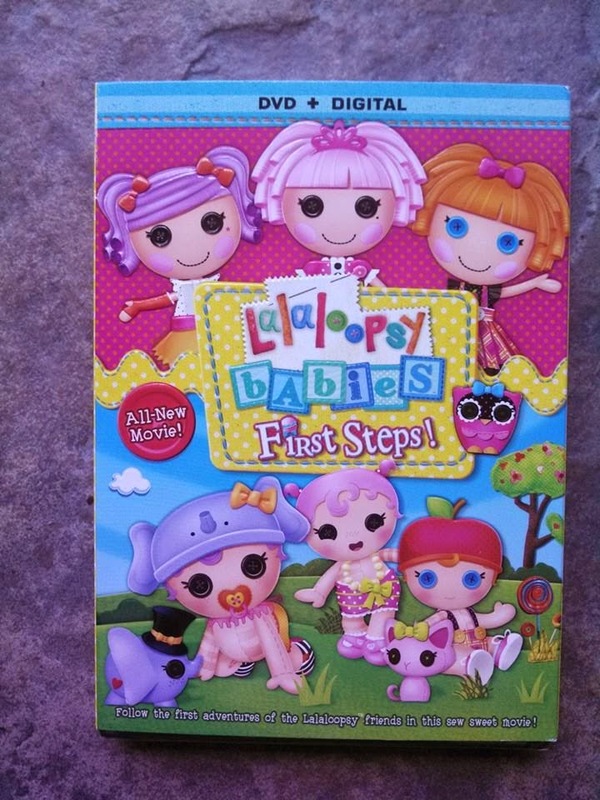 Lalaloopsy Babies First Steps DVD...................October 14th! Lalaloopsy Babies First Steps is about the Lalaloopsy girls and how they all became the best friends that they are today. The whole thing starts when Jewels cat runs off with her tiara, which gets placed behind the fridge. The girls work together to try and get the tiara out from behind the fridge to pull out a old scrapbook. The girls look through the book which has them as babies and their many adventures together. My kids have watched this DVD at least 20 times already, it is super cute watching as the personalities on the Lalaloopsy dolls comes alive on this DVD. You can purchase the new Lalaloopsy Babies First Steps on October 14th 2014, in your local retail stores. Enter to win a Lalaloopsy Diaper Surprise doll! Contest open to U.S. residents only, contest will end October 2, 2014. Disclosure: In order to facilitate a review, I received promotional materials and/or samples. All opinions and comments are my own. Photos or Reviews or were provided by client with authorization for use in this campaign. No additional compensation was received. Post may contain affiliate links. Please contact Casey@themeparkmamablog.com with any questions. This Halloween why not Krystal? October 29th is National Cat Day! Make your own Caramel in 3 Easy Steps! Smith Brothers Wellness Products #Giveaway! New Chex Mix Popped! Find it at Target! LEGO DUPLO Batcave Adventure! #Giveaway!